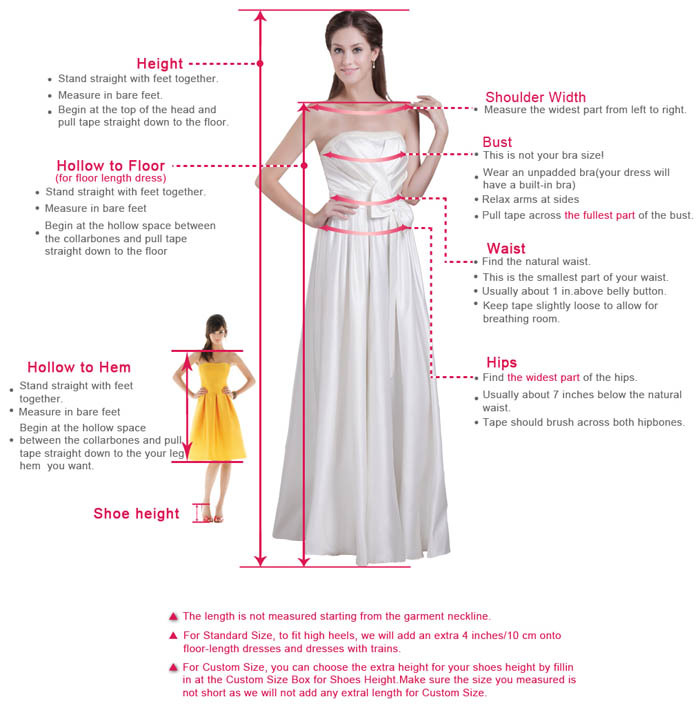 Beading elegance on the party! 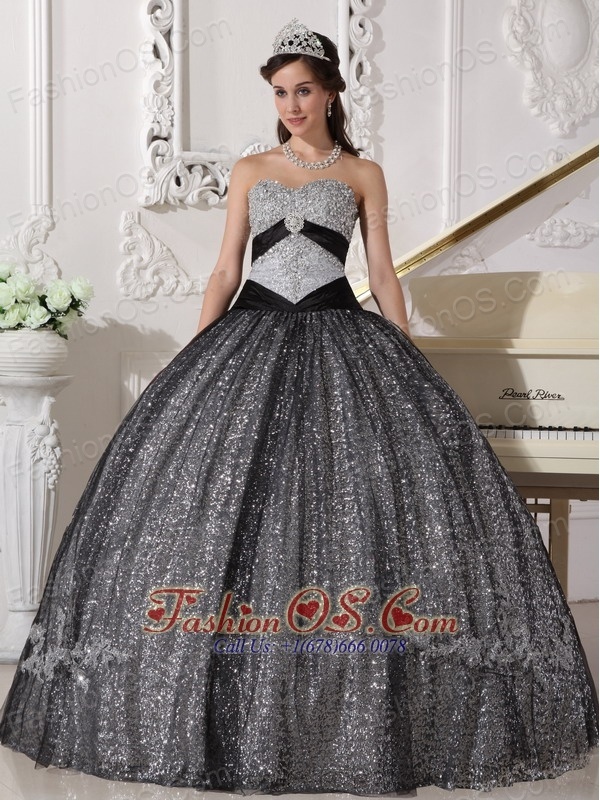 Strapless sweetheart bodice features stunning beading detail and elegant lace-up back.Inverted-V empire waist is figure flattering and accented with jewel detail for extra sparkle.Full ball gown is highlighted with all over sequin detail for a dramatic effect. 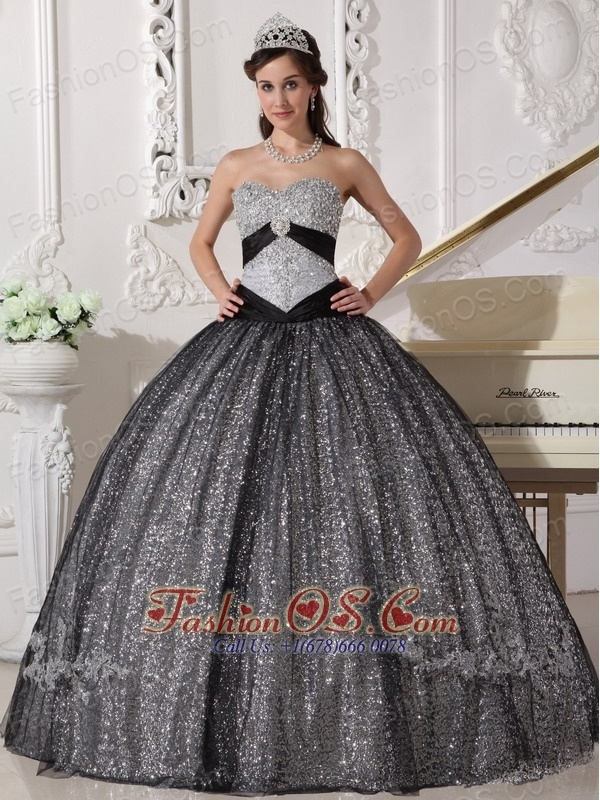 You can also visit this url Beautiful Black Quinceanera Dress Sweetheart Sequined and Tulle Appliques Ball Gown to get more revires.